Our new home changes the shape of UK drama training. 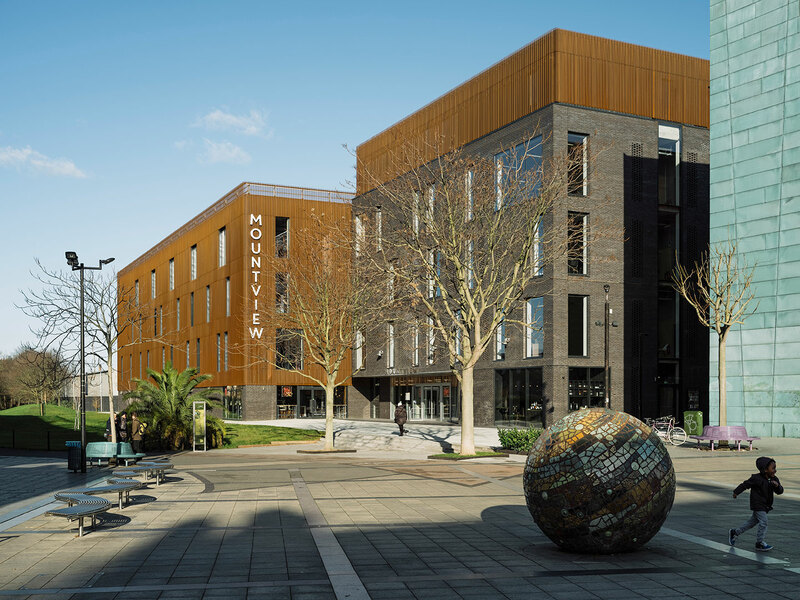 It makes Mountview the leading academy in excellence, social access and innovation in training for the creative industries. In partnership with Southwark Council and designed by Carl Turner Architects we have built a brand new home in the heart of Peckham in south London, next to the Stirling Prize-winning library. We broke ground in April 2017 and we welcomed our students through the doors in September 2018, less than eighteen months later. For the first time in many years we own our own home, with theatres, studios, workshops, meeting rooms, well-being facilities and work/office space. Our move allows us to expand our provision for young people and adults, engaging new audiences of all ages with vocational arts training. There is community space to rent and cafes and bars ensuring our building is publicly accessible. In addition, we’ve created a home for the professional performing arts industry, with rehearsal space and studios available for hire. Carl Turner Architects have designed a building which includes a public foyer with two café/bars, 200-seat and 80-seat theatres and a rooftop restaurant/bar with views across the London skyline. Training facilities include 21 studios, music practice rooms, production workshopss, meeting rooms, two TV studios and a radio suite. Further spaces include work space, a retail unit and a 195-m2 rehearsal studio for commercial hire. The building was built on a vacant brown-field which which had once been home to Area 10, a ‘found’ creative space/performing arts space. Before that the site had housed Whittam’s timber yard and ,orginally, a canal-side warehouse. It was built by the award-winning contractor Gilbert-Ash who recently completed the Stirling Prize winning Liverpool Everyman Theatre.